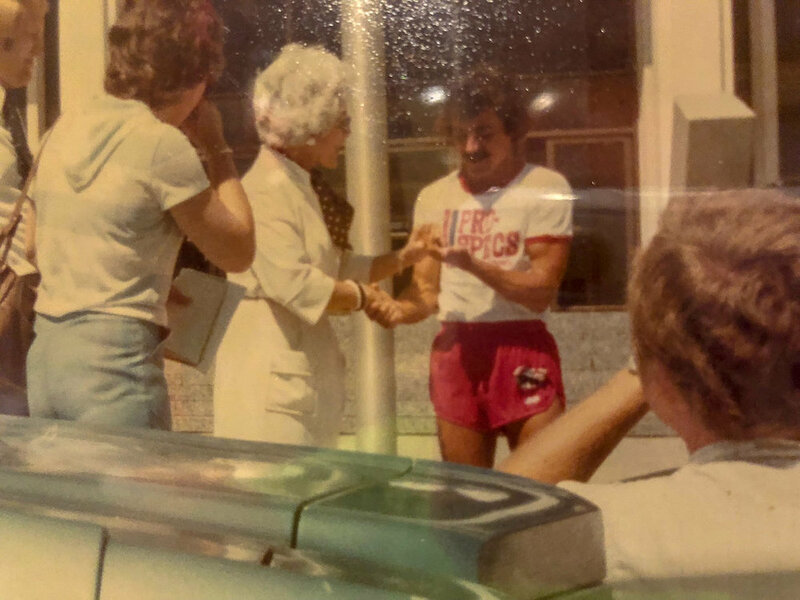 Continuing with my day-to-day diary account of my 1978 Cross America Run for the Jimmy Fund from June 11, 1978, to August 29, 1978, a total distance of 3,452 miles averaging 45 miles a day, done 40-years ago to the day. I’m enjoying reading these cards that I mailed home every day as I haven't read them in 40 years! Below is what I wrote on these cards each day. Finish location – Exeter, NE. Entering Nebraska – cameras not too good in those days! Finish location – Lincoln, NE. Mayor of Lincoln presenting me with key to the city. Finish location – Plattsmouth, NE. Finish location – Red Oak, IA. Finish location – Creston, IA. Even though truck tried to run me over, we still kept a positive attitude and had fun with it. Prefer a PDF of the 40th anniversary of Dave's cross-country adventures? Download here.